"The title of this book is chosen to convey the wonder that lies in our brains. Dr. Ropper, a distinguished neurologist who deals with some of the most difficult neurological cases in the Boston area, focuses on what the patient’s brain can tell us about what ails it. While he continues to prescribe the usual physical tests, he adds extensive conversations with the patient as a key element in diagnosing the underlying causes and in prescribing effective treatment. I found his approach to be compelling and his candor to be exceptional — even including cases where errors contributed to unsuccessful outcomes. 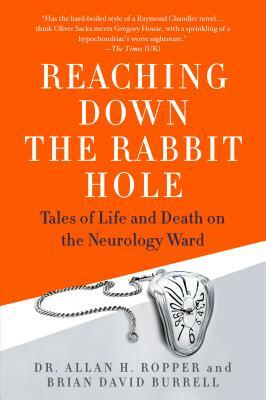 I believe that readers of this book will be excited by the insights that it provides into personal, teamwork approaches for treating persons with brain diseases." Dr. Allan H. Ropper is a Professor at Harvard Medical School and the Raymond D. Adams Master Clinician at Brigham and Women's Hospital in Boston. He is credited with founding the field of neurological intensive care and counts Michael J. Fox among his patients. Brian David Burrell is the author of Postcards from the Brain Museum. He has appeared on the Today Show, Booknotes, and NPR's Morning Edition. He divides his time between writing and statistical research with neuroscientific applications.